With this book "The Learning Perspective", which can be read by anyone interested in learning and changes in organisations, the authors want to describe some prerequisites for the initiation of procedures of learning in and changes of organisations, and some possible relations between theory and practice. It is now practice of employees and managers in most organisations to add a learning perspective to daily practices. Many of these practices have become routine. In spite of that, we can still learn from these relations and practices. The fundamental basis adding the learning perspective is to "see" activities independent from routines. The basis might also be reflections over the strength of problem solving regarding existing activities and over solutions in relation to new patterns of activities. The ongoing discussion and considerations about the learning organisation and organisational learning follow many different lines. In recent years two have become dominant. The first concerns the connections between an overarching level and a sort of infrastructure of the learning organisation and of organisational learning. "The learning society", "the learning region" and "the learning local authority" are expressions of this discussion. The second line of discussion concerns conceptualisations of the learning organisation and organisational learning as a theoretical structure, and problems with implementing these theoretical considerations that is the focus of this book "The Learning Perspective". Læs det printbare materiale. OBS! OBS! OBS! 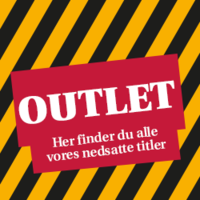 Størstedelen af bogen bygger på Den lærende organisations begreber og praksis, der tidligere er udgivet på Aalborg Universitetsforlag.